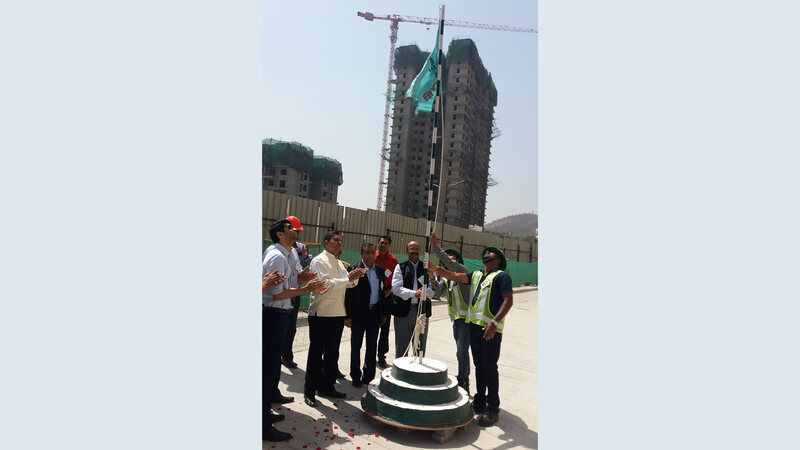 Safety Week Celebration held on Life Republic Construction Site, Hinjewadi of Kolte Patil Developers Ltd. 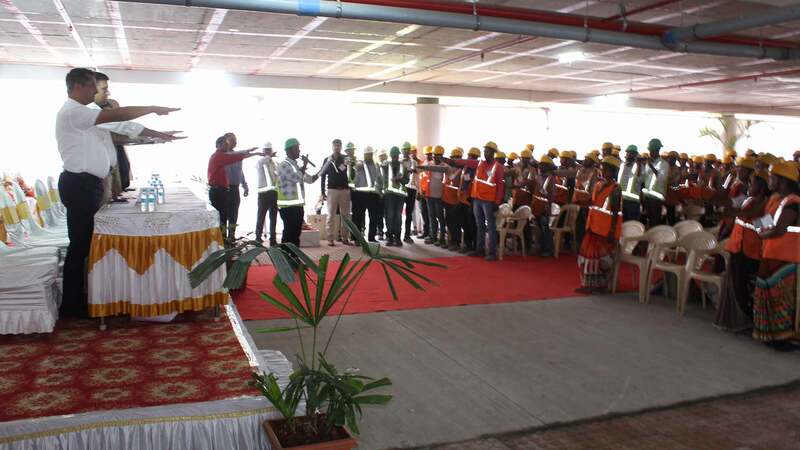 The Safety Week Celebration initiative of Kolte Patil Developers Ltd supported by CREDAI-Pune Metro held on 8th March, 2019 at their site at Hinjewadi in the presence of 1200 workers at the hands of Mr.Dilip Gawade, Addl. Commissioner PCMC & Mr.Shrish Poreddy, Executive Engineer, Building Permission Department, PCMC. This Program began with Safe Flag Hoisting and Oath taking ceremony. 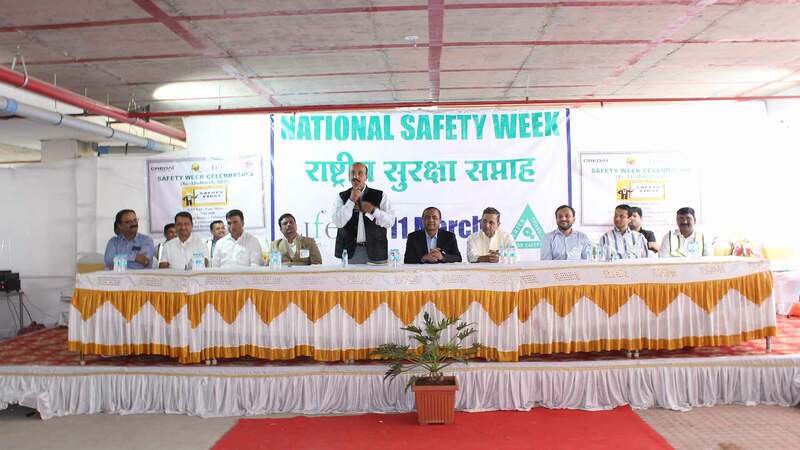 This event is really going to boost the Awareness and Implementation of Safety movement among the builder community in and around Pune City and through which the accidents and hazards on construction sites can be minimized. On this occasion, Mr.Virag Kolte, Director of Kolte Patil Developers Ltd welcomed all the guests and expressed thanks to CREDAI-Pune Metro for the support and co-ordination. 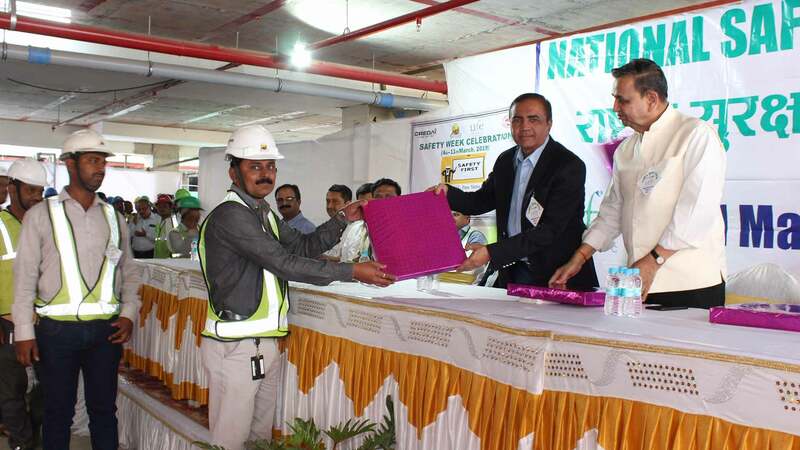 Mr. Dilip Gawade, Mr.Shirish Poreddy expressed the importance of Safety on construction Sites and appreciated the initiative taken by Kolte Patil Group. Mr.J.P.Shroff, Chairmain Kushal and Labour Welfare Committee briefed about the need reg. BOCW Registration and Labour Welfare & Safety Benefits connected to it. Mr.Mangesh Shende, Construction Head expressed vote of thanks to all. 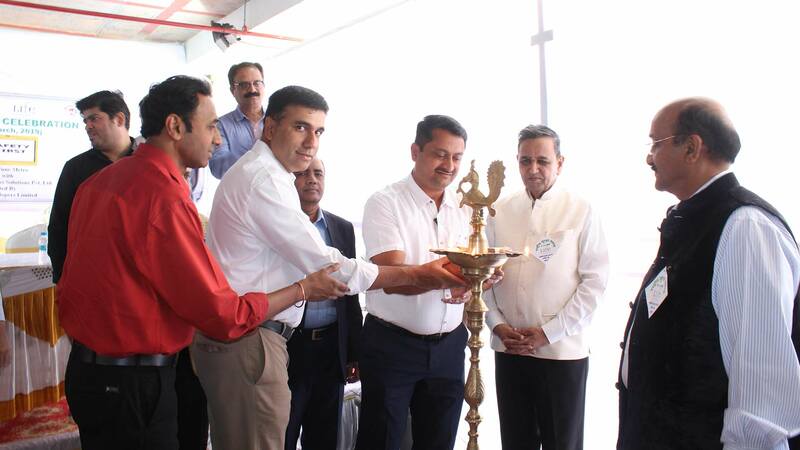 The other dignitaries present and guided were Mr. Parag Patil, Mr.Indraneel Mujugule, Labour Welfare Committee Members, Dr. D.K.Abhyankar, Director General CREDAI-Pune Metro, Mr.Samir Parkhi, Admin & Labour Welfare Officer, and Mr.Santosh Takbhate, Commercial Executive, CREDAI-Pune Metro, Mr Sumeet Kale, Safelty Consultant. From Kolte Patil Developers Ltd, Mr. Rahul Talele, Projector Director, Mr. Pawan Lohia, CFO, Mr. Preetam Rathod, G.M. Environment, Health & Safety, Mr. Manaskumar Pradhan, Safety Manager were present for this event.